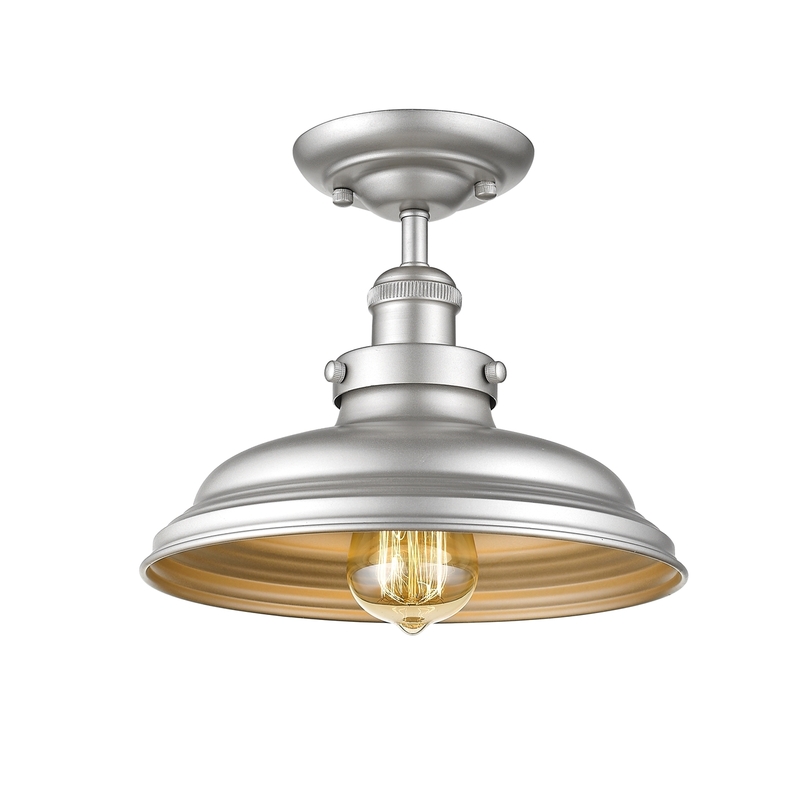 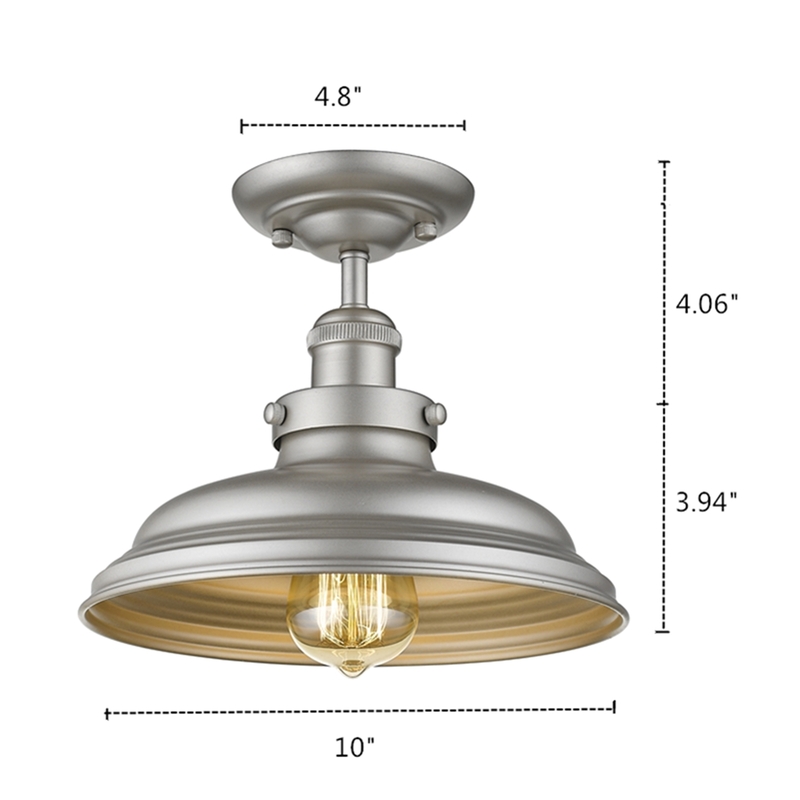 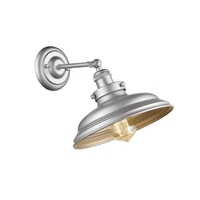 This 1-light semi-flush mount fixture features a painted silver finish that will complement many transitional decors. Clean lines of the steel frame and matching metal shade softens the light to create a warm ambiance. 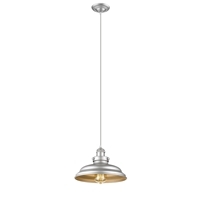 Ceiling Chain, Stem, Wire Length 6"